Cooking with cannabis and creating cannabis infused products is becoming extremely popular, especially for those that wish to enjoy the benefits of cannabis in a discrete and delicious way. Making cannabis glycerin concentrate can be simple. Glycerin by nature is in liquid form, it is an alcohol based on sugar and has a sweetness percentage of approximately 60%. In this recipe you will find a hot extraction method. 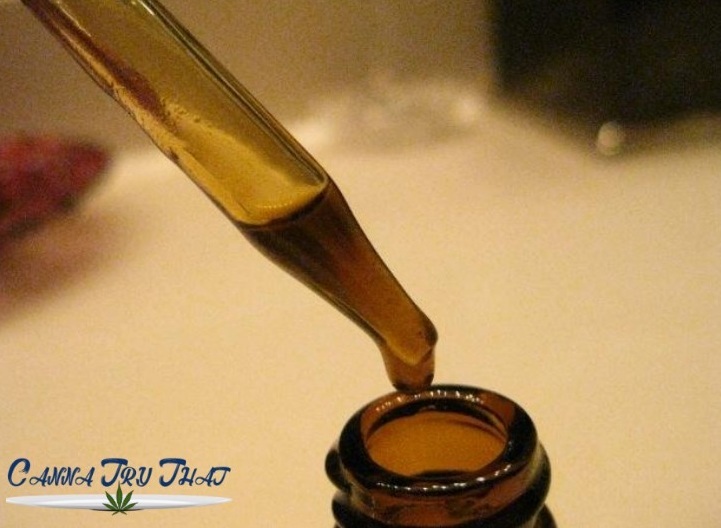 The hot extraction method is the fastest method, however the cold extraction method allows for flavours to be preserved for prolonged period of time. Feel free to replace the hot extraction method you will find here with a cold extraction method if you prefer, then just follow the rest of the recipe as normal. The hot extraction method will only take approximately 24 hours while the hot extraction process is between 60 and 120 days. This recipe the extraction method will provide you with a strong and H2O soluble glycerine concentrate. You may use actual dried nuts of marijuana or you can use trimmings of the leaf, as you will see in this recipe. 120ml of vegetable glycerin. Remember that you should be getting food grade glycerin. Now that you are fully equipped and ready to rock and roll follow the directions carefully and you will soon have a potent and tasty cannabis glycerine. First off, ensure that your marijuana trimmings are properly dried out. Need a bit of a boost to dry them out? You can use a bit of decarboxylation step however allow it to dry as naturally as time will allow. Once you are satisfied that the trimmings are thoroughly dried, lay the trimmings o a baking sheet and place in the oven at approximately 200°F. You will know when the cannabis is sufficiently baked when it crumbles easily between your fingers. Now its time to use the coffee grinder. Using the grinder, make the cannabis into a powdered form. Be careful not to over grind the cannabis, you just want to make it slightly finer. Using a bowl that you are sure is big enough to hold both the 120ml glycerin and cannabis, add in the two ingredients and stir them together as you do so. You want to make sure there is also sufficient room at the top of the bowl to allow for any expansion that could result. Make sure you stir them together well and that they are nicely combined. After this initial hour, you will notice the colour of the glycerine turning into shades of green. At first the mixture was a bright colour and now it should be transforming into a more olive pastel. Use your wooden spoon to give the mixture another stir. After a further 7 hours the glycerin mixture will be an unappealing brown colour. This is normal. You will allow the glycerine mixture to sit and stew for 24 full hours. Be ready to stir the mixture every few hours, approximate every 3-4 hours. After the full 24 hour has passed, take your cheesecloth and put the glycerine inside. Wrap it up nice and tight. The French press will now come into use as an extraction tool. Ensure that you have a glass funnel handy inside a jar (yes, a glass one). Now, press the concentrate into the funnel and close the jar. Refrigerate the jar with the concentrate. When you are wishing to use the concentrate, use a glass dropper and be aware that the potency level of the concentrate is extremely high. – Ensure that the crock pot temperature stays low and steady. If the temperature reaches too high it could yield disastrous results. The high temperatures could burn out the terpenoids. -By using a very slow process of decarboxylation, you retain the integrity of the cannabis’s THC. Avoid decarboxylising before the process of making the cannabis glycerine in the crock pot. Yes, by decarboxylising beforehand you will speed up the process considerably however you will be sacrificing the quality of your infusion. also, both flavour and colour will be effected. Now that you have your test marijuana glycerine concentrate, it is time to get cannabis creative! The beauty of this infusion is that it can be utilised in a myriad of ways. A drop or two placed beneath your tongue to sweeten up an event or use it as a sweeten in a hot beverage. You decide, and enjoy. Just remember that it is a potent infusion so be sure to start with small doses until you know how much you can handle with comfort.